Democratic New York Gov. Andrew Cuomo blamed state senators Thursday for frightening Amazon as the tech giant sought to create a campus in the Empire State. 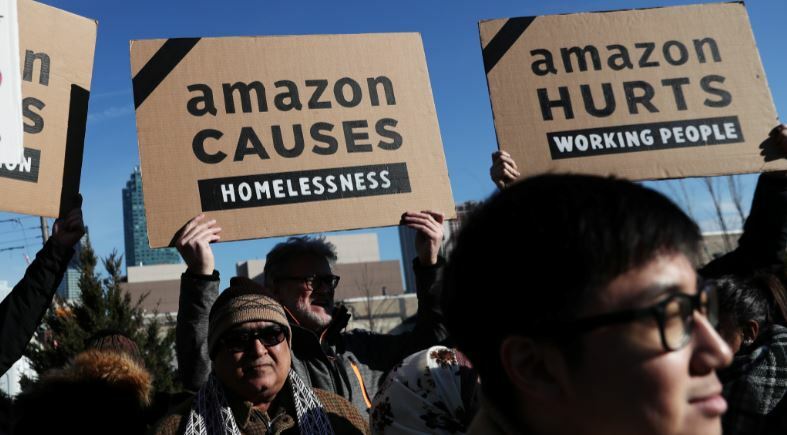 “A small group of politicians put their own narrow political interests above their community — which poll after poll showed overwhelming supported bringing Amazon to Long Island,” Cuomo said in a statement. “The New York State Senate has done tremendous damage.” Democrats control the New York Senate. Amazon backed out of a planned deal after local politicians and critics panned the idea. The multi-billion dollar company is still planning to construct another center in Arlington, Virginia, near the nation’s capital. The project in New York was expected to create 25,000 jobs. A smaller project in Nashville, Tennessee, is expected to create 5,000 new jobs. Cuomo, a Democrat, made his comment shortly after Rep. Alexandria Ocasio-Cortez cheered Amazon’s decision to vacate New York. “Anything is possible: today was the day a group of dedicated, everyday New Yorkers & their neighbors defeated Amazon’s corporate greed, its worker exploitation, and the power of the richest man in the world,” Ocasio-Cortez told her Twitter followers.